PROPHETIC Healing and Deliverances (PHD) Ministries leader, Walter Magaya, has predicted an economic rebound under the new political dispensation led by President Emmerson Mnangagwa. Addressing journalists during his cross-over all-night service on New Year's Eve, Magaya said with the ascendancy of Mnangagwa as President, economic recovery and individual prosperity were now possible. "It's a new chapter for every Zimbabwean; we are in a new dispensation and, as a church, we are saying let us take advantage of the new chapter to grow our economy," he said. "As a church, we have declared good and we are saying to our people, let us open the gates. We have great opportunities lying ahead of us." In the past few years, the popularity of "prophecies" has shot up, with preachers trying to outdo each other by predicting the future. Mnangagwa took over from former President Robert Mugabe in November last year following a military intervention. The new President had been kicked out of the ruling Zanu PF and the government at the height of Zanu PF's acrimonious factional fights pitting the now-vanquished G40 against Team Lacoste loyal to Mnangagwa. Soon after his inauguration, Mnangagwa promised to deal with corruption, but critics accuse him of targeting people that were not in his faction, with none of his perceived supporters having been arrested yet. Mnangagwa promised to lure foreign direct investment and repealed the unpopular indigenisation policy. However, his reign has been met by a wave of price hikes. Magaya said 2017 would go down in history as Zimbabwe's best year, as itushered in a new political dispensation following Mugabe's resignation. Reading from Isaiah 60 verse 1, the PHD Ministries leader, who commands a huge following and had his cross-over all-night prayer oversubscribed, said Zimbabwe needed to open its "gates" and allow foreigners to bring in the "goodies" they have so that the hard-pressed citizens could reap from their sweat. 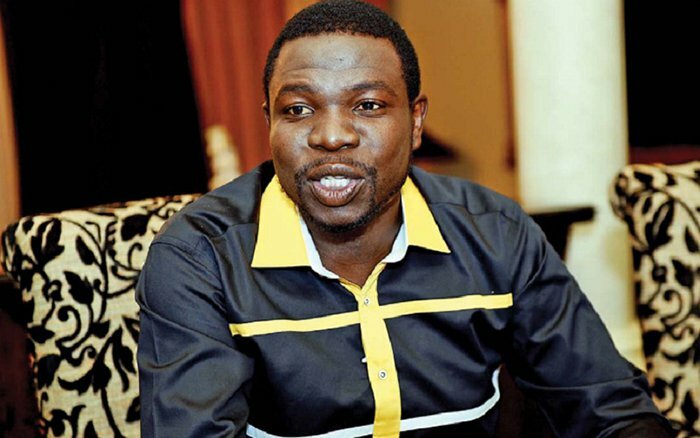 Magaya was allegedly close to former First Lady, Grace Mugabe. The all-night prayer was graced by singer, Jah Prayzah, who mesmerised the worshippers with a well-choreographed act. Earlier on, Magaya launched a social media platform to allow church members to chat with him directly, as well as to allow for advertisements among his congregants. The platform is called Lets' Chat.